We source out high quality coffees from around the world that include certified organic, fair trade, shade grown and bird friendly. Our roasting philosophy is to use the old school method that has been lost with some coffee companies. We artisan-roast our beans, we do not use computerized roast controllers. Our green beans are meticulously evaluated by their color, aroma, sound and shape while tumbling through our vintage Probat UG22 Roaster. We look for incredible coffees that have great characteristics that stand alone, and do not need to be blended. We are passionate about the artistry of bringing out a coffee’s inherent characteristics. Our experience in the artisan style of roasting allows us to get the most out of every bean and ensure our customer the finest product. Put Brewed Awakenings on the shelf and offer locally roasted coffee to your customers. Come visit us and taste the profiles of our hand-roasted coffee varieties (shown below). We are sure you’ll love the taste of our coffee as much as we love making it. Medium body & acidity. Very smooth and creamy flavor with a milk chocolate aftertaste. Medium bodied, mild acidity. This coffee contains lovely fruit notes, the most pervasive of coffee. Great acidity, abundant fruit & rich chocolate body, which is cherry. Followed up with honeydew melon and grapefruit on the backswing. 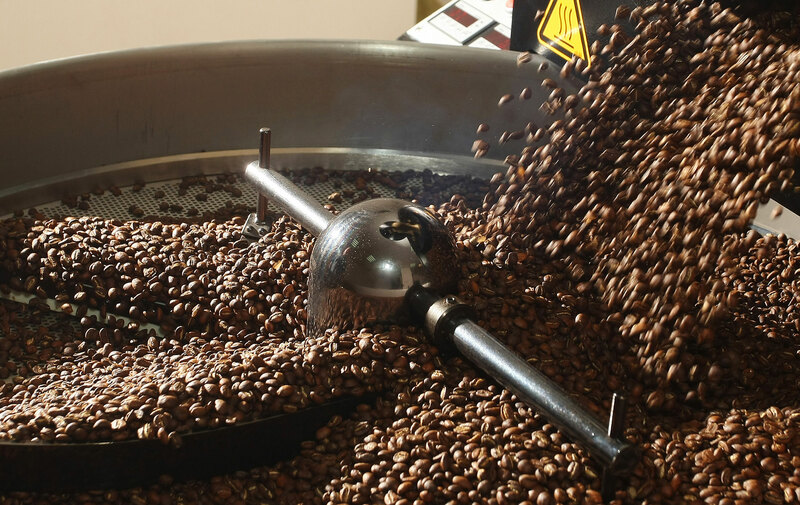 Everyday we feature a different roast from beans grown around the world. Enjoy the flavors from other countries such Ethiopia and Indonesia.